Filoti. 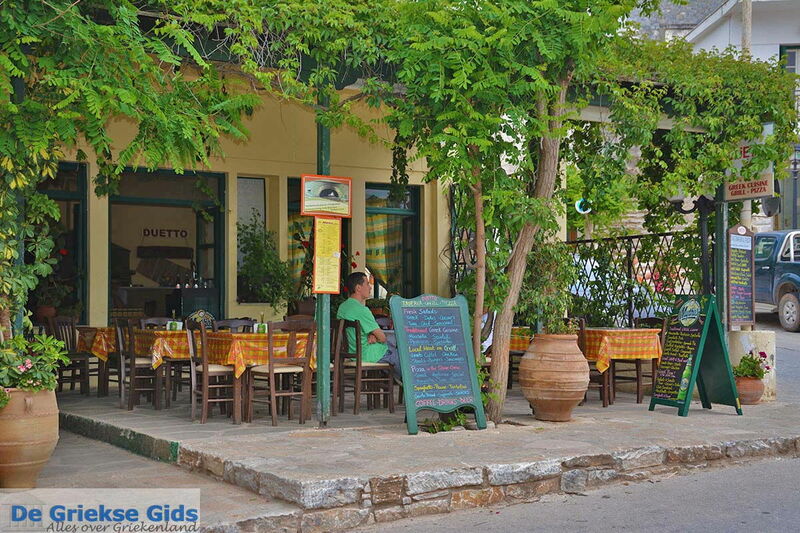 Filoti is a traditional Cycladic village that is centrally located on the Greek island of Naxos. 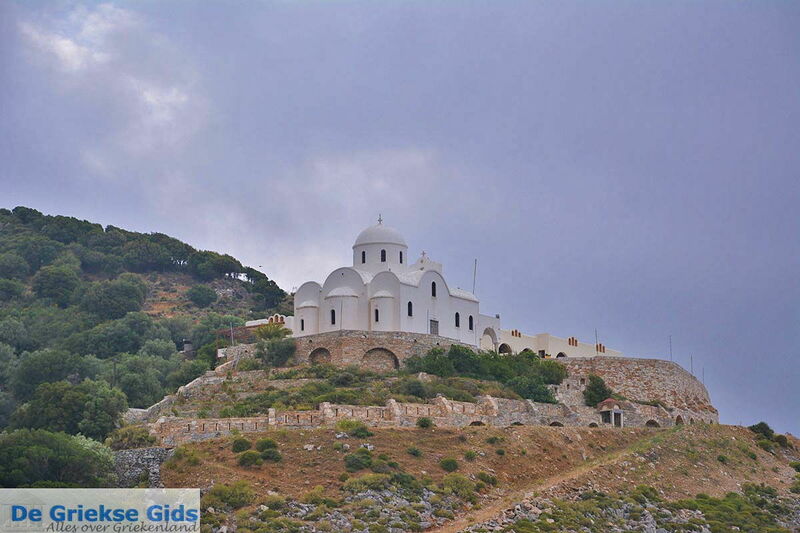 It is situated 18 kilometers (11 mi) from Naxos Town (Chora), at the foot of Mount Zeas (or Sat), at about an altitude of 400 meters (1,300 ft). 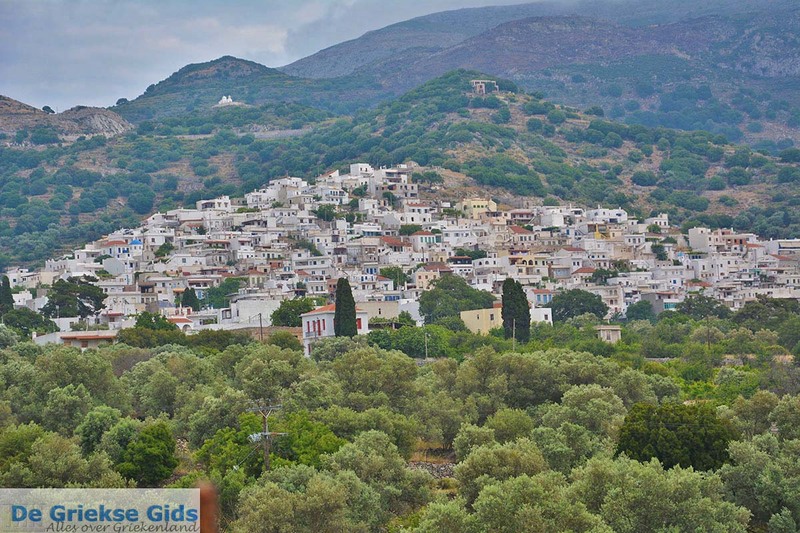 Filoti is the biggest village on Naxos. 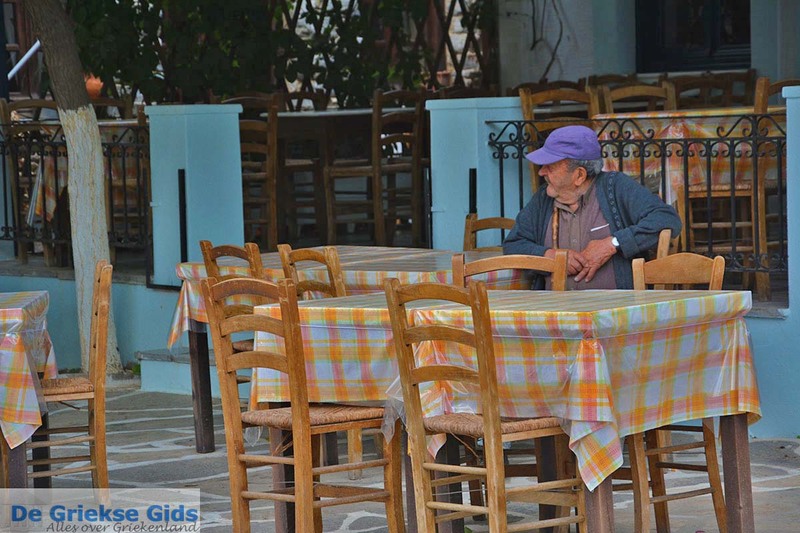 It has about 1,800 inhabitants. 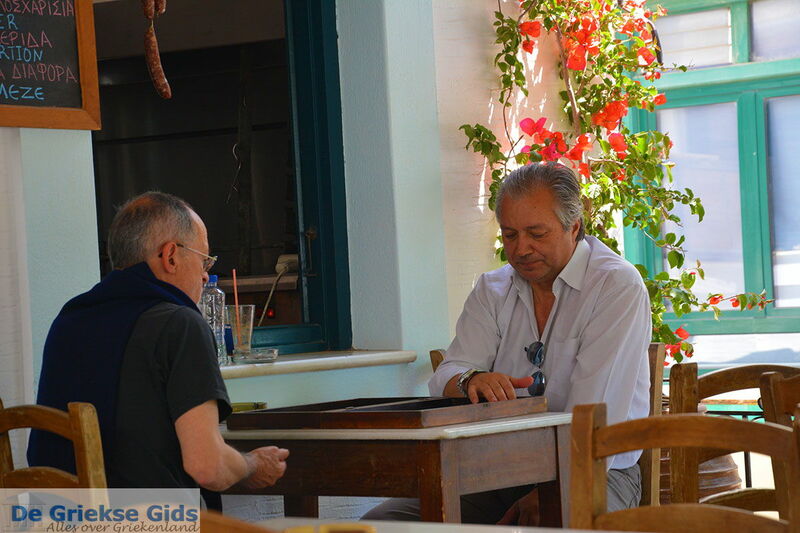 It is also one of the biggest villages in the Cyclades. 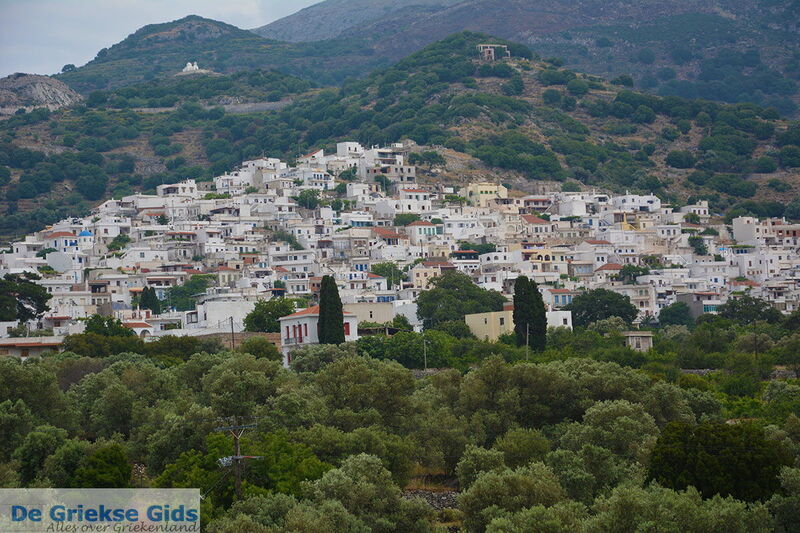 The village consists of three districts, and one may have been founded by immigrants from Crete in the 17th century. 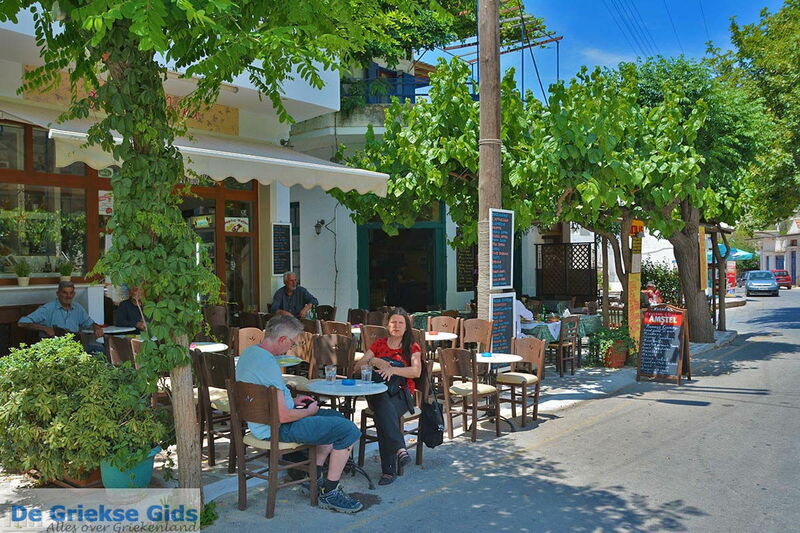 The provincial road that connects Apiranthos with Naxos Town, runs through the village. 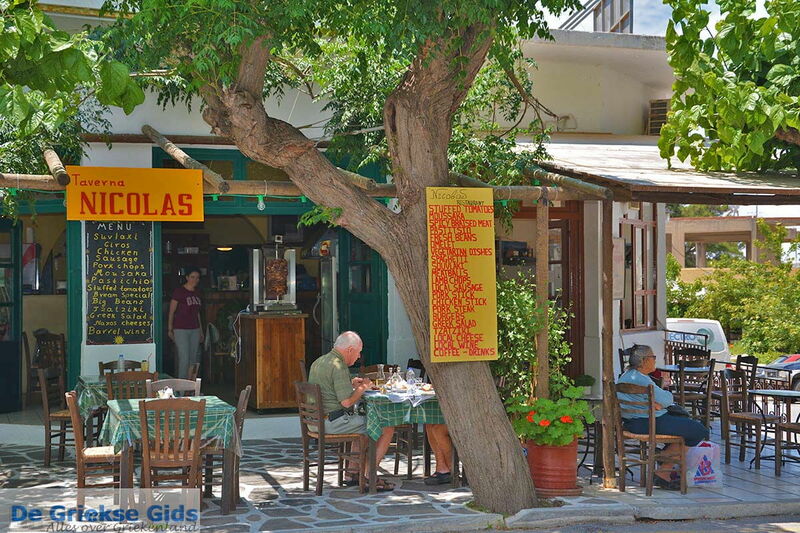 In the village there is a large square with tall trees, and a variety of cozy restaurants and cafes. 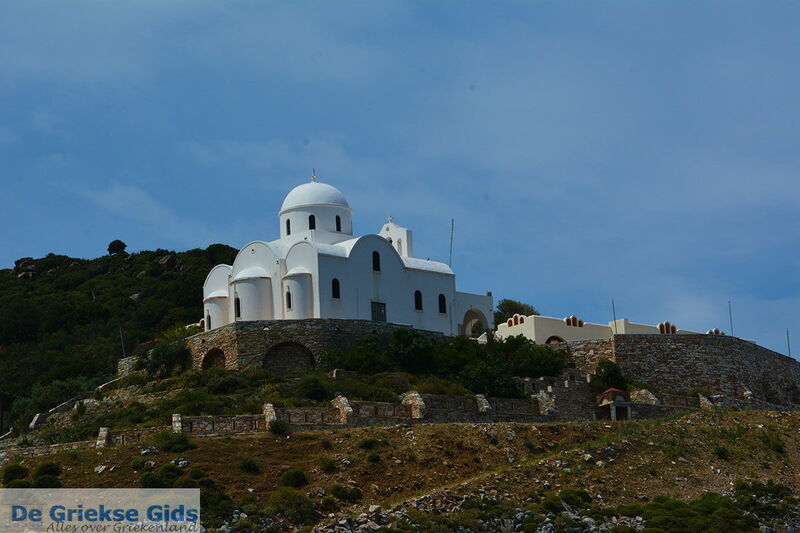 In the village is the church of the Holy Mother of Filiotissa, which was built in the 18th century. 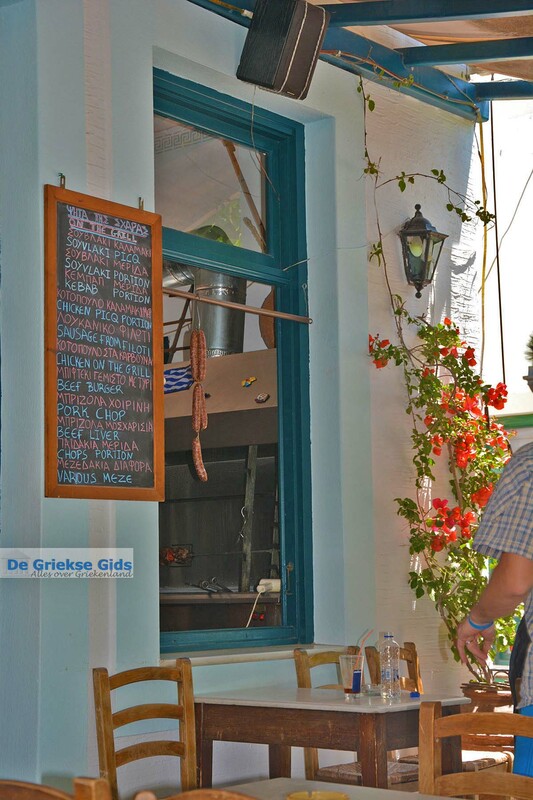 Every year on the 15th of August festivals in the village honor the Blessed Mother. 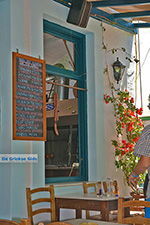 Filoti is known for its agricultural products, such as grapes, wine, olives and olive oil. In addition, the village is known for the production of cheese. One of those cheeses is a well-known type called Arseniko (sounds like arsenic, but actually means male), made with sheep’s and goat’s milk. This cheese has its origins in about the year 1000 AD. 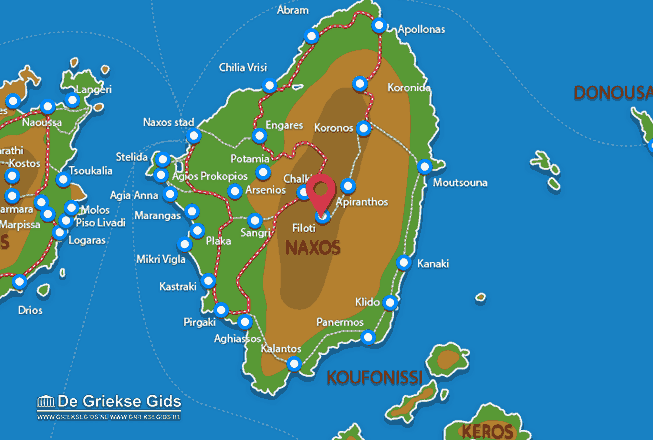 Naxos: Where on the map is Filoti located?